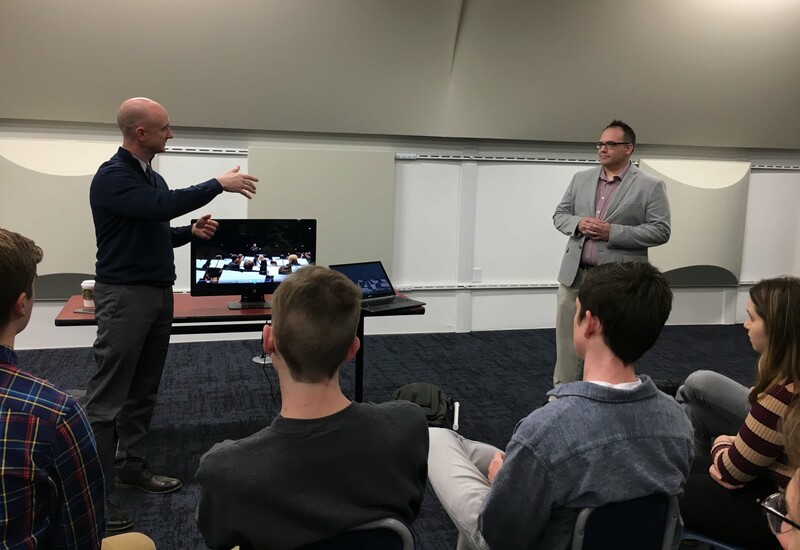 The Department of Music welcomed Colonel Jason K. Fettig, Director of the “President’s Own” United States Marine Band, to lead a master class for music students at Case Western Reserve University and the Cleveland Institute of Music. Col. Fettig discussed conducting technique, interpretation and expressivity in performance, and how best to prepare for professional auditions for the Marine Band and other ensembles. 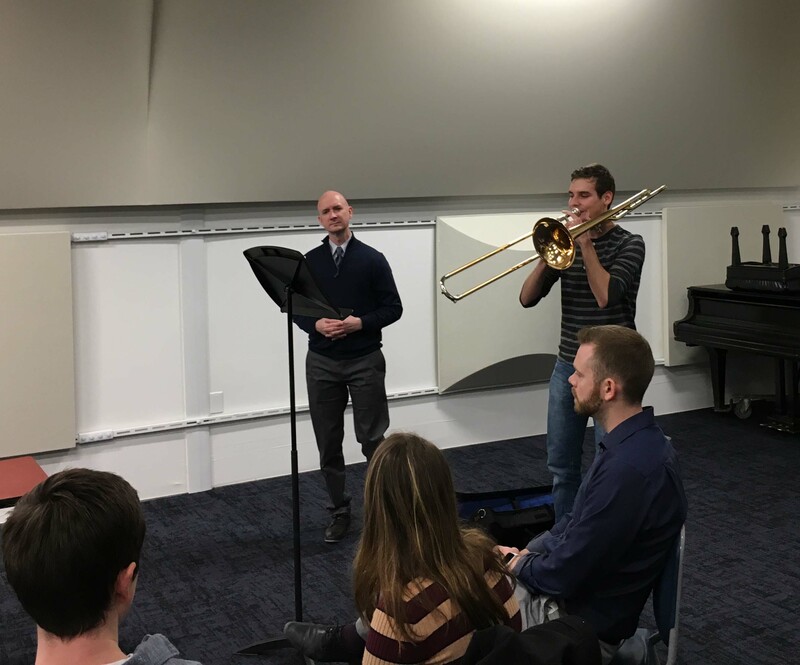 The master class took place in the brand new Spartan Rehearsal Hall in the Wade/Denison complex. The Marine Band had presented a concert the previous evening in Severance Hall as part of its fall tour. The program featured a performance of Samuel Barber’s Commando March guest conducted by Daniel Crain (MA Music Education, 2008), a band director at Shaker Heights High School, Co-Director fo the Cleveland Youth Wind Symphony, and Director of the Lakeland Civic Band at Lakeland Community College.